THE BRITISH RAILWAY STORIES LTD: "Lone Wolf: The rebuilding of a Nu-Cast Gresley P2: Part 1"
"Lone Wolf: The rebuilding of a Nu-Cast Gresley P2: Part 1"
Photograph is copyright of Simon Gott and replicated here for educational purposes only. Oh dear. What have I done. I've taken on yet another project! (I have in fact taken on about five projects, one of which was the Ivatt Atlantic, but more on that later). The above model will soon be in my possession and will be the subject of an excercise to see if I can produce a more reasonable P2 model for my personal collection and use in my future stocklist for my KX-Leeds trainset/layout/roundy round that I am planning. It's completely out of period, it's unnecessary, it would have been at KX only a few times, and...etc etc. Who cares! I've always wanted one, and in purchasing this particular model, I can do some modelling in terms of bringing it up to scratch, and also fulfill that small personal promise to myself that I'd develop a layout which a decent model of a P2 could get around. 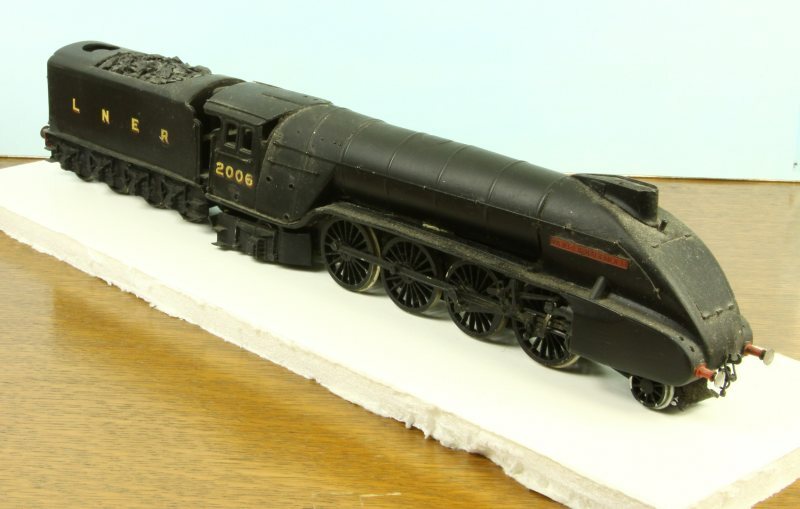 The intention is to model number 2006 Wolf of Badenoch in its wartime all over black livery, perhaps with an interesting variation (white warning panels behind the buffers and white outline buffers) which can be seen in figure 150 of RCTS LNER Locomotives, Part 6B. The model will be carefully brought up to a decent standard through careful selection of appropriate components and modifications which will allow both a more accurate model and a better running model to be created. 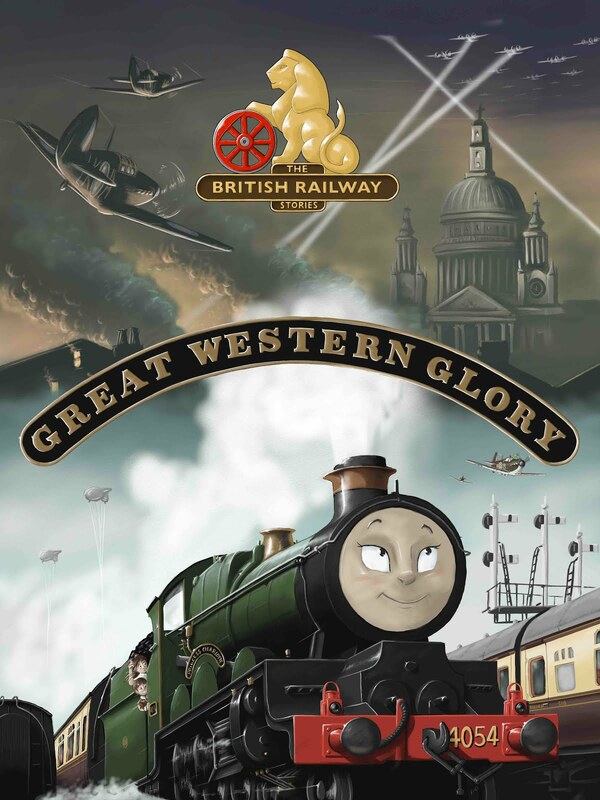 I started collating a plan of action on the LNER Encyclopedia forum (which can be found here with the full discussion), and will continue the overall build here, and on my RMweb blog. The tender from the Nu-Cast model is mishapen, too long in the frames, too short in the tank and rather crude. It was good for its time, but I want the model to look reasonable against the latest Pacifics from Hornby and Bachmann. I have therefore made it my intention to scrap the Nu-Cast one altogether. I already have a spare Hornby non-corridor tender, bought for a pittance off eBay, which is suitable for this build. It's one of the latest ones, and I believe it came from a super detail Mallard model. This tender is more or less the same as the P2 tender, however my intention is to model 2006 Wolf of Badenoch, and this means the streamlined tender fairings at the front and rear over the water filler cap need to be added. Comparing the Isinglass drawings of class P2/3 against A4, the fairings look like they can be added relatively easily, either by carving up the old Nu-cast tender for its fairings, or using plasticard. The latter looks much more likely. The Nu-Cast cab is horrendous. The roof and its details are wrong for most of the P2s (streamlined or not) and it's certainly not right for no.2006. Happily, after the latest round of Isinglass drawings came in, I was able to confirm a long held suspicion that the A4 cab from a Hornby super detail A4, with the side sheets built up, would not only be the correct length, but 100% accurate for no.2006's cab, which conformed to the A4 specification, including the two extra roof vents. Other than the side sheets, there are no discernible differences: the A4 and later P2 cabs were the same, even down to the non-beaded side sheets. I am therefore going to removing a Hornby A4 from a spare bodyshell I got off eBay: namely the battered remains of a Sir Charles Newton model. The current model has a swing link cartazzi that just looks wrong. The intention is to remove this altogether and fit a fixed cartazzi, with flangeless wheelset. The cartazzi from the super detail Hornby A3/A4 can be happily used and then cut/shut to the correct length without further modification, as they are (again) very similar to that on the P2s. The front end will not be changed much. The curve and length, and the difference in width of the flat of the smokebox across the curve, is completely different to the A4. The A4 has a much sharper front and the P2's curves back more gracefully to its first boiler band. This whole section is also longer on the P2, according to the Isinglass drawings for the P2/3 and A4 Pacific. I am therefore not going to change the front end substantially, other than to try and match the more subtle details of the Hornby A4 through use of Archer's resin rivets and similar. Luckily for me, I don't need to change the Hornby A4 tender wheelsets: no.2006 had disc wheelsets for its whole life as a P2/3. However I will be changing the driving wheels. It is perhaps not obvious from here, but the centre wheelsets have been turned down to be flangeless. I will be fitting flanged driving wheels throughout, though I am undecided on the brand. If anyone could assist with suitable suggestions, further to that on the LNER forum, I would be grateful. Obviously the replacement driving wheels must be able to utilise the existing valve gear and coupling rods. The front pony truck wheelset will also need replacing. I think (though I may be wrong) that a set of V2 wheels may be suitable, now? Those I have several spare, for use on my Bachmann V2 fleet, and one can be fitted here as a matter of course. Put simply, the Nu-Cast P2 buffers are bad. They have a rounded base which is completely wrong for the P2s. At the advice of the members of the LNER Forum, I'm going to give Branchlines a ring for some Spencer double cased buffers in the streamlined pattern, which will help to improve the front end greatly. The A4 type chimney is not a direct match to the P2s, but I have plenty of resin and plastic A4 chimneys spare from my recent A4 builds. I am therefore going to examine whether it is worth creating a new P2 chimney to more closely match the Isinglass drawings in this way, or whether the existing Nu-Cast chimney can be modified to be more accurate. There is some method in my recent madness of buying up cheap spare Hornby A4 bodyshells and components - I now have a suitable wartime whistle for the chimney, taken from the same battered bodyshell of Sir Charles Newton I got second hand, and will be raiding for its cab as mentioned previously. The washout plugs on this model are not correct for no.2006, but are correct for nos.2001/2002. The intention is to remove them by sanding them down, and then replacing them with resin cast washout plugs which may be provided by my usual and much appreciated source of components for my builds. Figure 134 in RCTS LNER 6B shows I need five washout plugs to the A4 spec, placed in specific locations across the upper half of the boiler. Lastly - the RCTS books suggests that 2006 lost its streamlined casing ahead of the cylinders, but the Isinglass drawings refute that by pointing out the dates do not match up, and therefore it's likely 2006 whilst in NE Black still had its streamlined casing ahead of the cylinders. I am therefore going to leave that as it is too. Half the fun of this particular build is sourcing all of the different components and bringing them together to fit to my model. Given I have so little time to model during the working week in any event, I am planning each portion of the rebuilding on a month by month basis. The idea is to have no.2006 rebuilt, reliveried and running in by Christmas, in conjunction with a few other rebuild/relivery projects I will relate on this blog in the next few weeks. However, I think the above gives me more than enough to do for the meantime! Your thoughts and ideas, as ever, greatly appreciated for debate.